Massachusetts Gov. Charlie Baker has ordered U.S. and state flags to fly at half-staff in honor of an Army Sgt. from Marblehead who died suddenly last week in Georgia. The U.S. Army is investigating the death of a Massachusetts soldier who died last week at Fort Gordon in Augusta, Georgia. Army Sgt. Rachel Reve McKay, 23, of Marblehead died April 8 at the base, according to her obituary. She had recently completed basic combat training at Fort Jackson in Columbia, South Carolina, where she graduated second in her company. 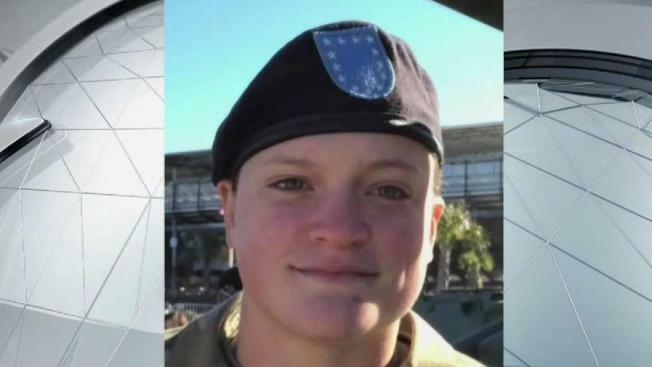 An Army spokesman said McKay's death is presently an "undetermined manner of death," since it is under investigation by the Army's criminal investigation division. McKay’s father posted a tribute to the soldier on social media to express the family’s grief. "Our sweet, beautiful daughter Rachel passed away yesterday at Army Base Fort Gordon," David McKay said. "She was our inspiration, our pride and our joy. We are now deep in despair and forever in darkness." McKay’s body arrived at Logan Airport on Monday, according to Massachusetts Secretary of Veterans' Services Francisco Urena. Gov. Charlie Baker has ordered flags to half-staff on Thursday in her honor. McKay earned her bachelor’s degree in political science at William Smith College in New York in 2018. She was on the university’s women’s ice hockey team and golf team. She was a Marblehead High School alumna. Private funeral services will be held for McKay, according to her obituary.